The Class40 monohull racing yacht has been one of the most successful new boats of recent years. The Class40 was introduced in 2005 with objective of offering a cost-effective boat that would allow mainly amateur skippers to take part in offshore ocean races on a limited budget. In the years since then it has taken off with almost 150 boats now on the water sailed by owners from all over Europe and America and, increasingly, by professional skippers. Big fleets of Class40s are now routinely present in many of the classic races on the solo, double-handed and fully-crewed calendar, including the Route du Rhum Destination Guadeloupe, the Transat Jacques Vabre and the Rolex Fastnet Race. The all-fibreglass Class40 is not a one-design but is governed by a box rule that lays down limits for length, beam and draft. It also stipulates a fixed keel and imposes limits on features like mast height, the number of sails to be carried and water-ballast. Unlike many classes governed by box rules, the Class40 rule has attracted a wide variety of naval architects and some of the top minds working in racing today. 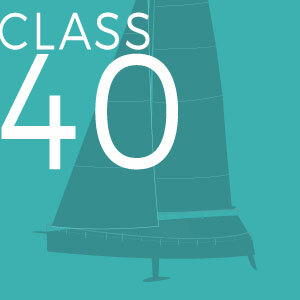 Class40s are fast boats that are fun to sail and the rule has produced highly competitive racing. The Transat offers another perfect racecourse for these boats to demonstrate their capabilities on a tough windward course. The Multi50 class offers an entry-level group of fast multihulls that, like the Class40s, are designed to be relatively affordable, exciting to sail and capable of competing in trans-ocean races. The main rules of the class limit the overall length and beam of these catamarans and trimarans to a maximum of 50ft, the number of appendages to a maximum of four, while foils, canting rigs and hydraulics are forbidden. In a mainly French class that traces its roots back to the 1970s, there is still a wide variety of boats on the water, some custom-built and raced by professional skippers, others home-built and sailed by talented amateurs. The top Multi50s are trimarans capable of cruising at well over 30 knots and can be a real handful with the ever-present danger of the boats becoming over-powered and capsizing. 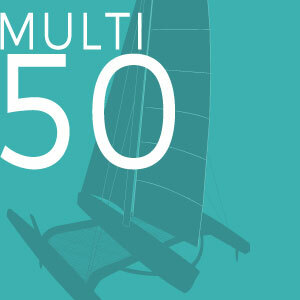 Fifty-foot multihulls first raced in The Transat in 2004 when six boats took the start line and four finished. Originally called the Open 60 class and now known as IMOCA 60s, after the International Monohull Open Class Association that runs them, these iconic speed machines have been the mainstay of professional monohull, solo, ocean racing since the mid-1980s. The boats emerged at around the time of the second edition of the BOC Challenge in 1986 when five 60-footers took the startline in response to a rule limiting monohulls to 60ft. 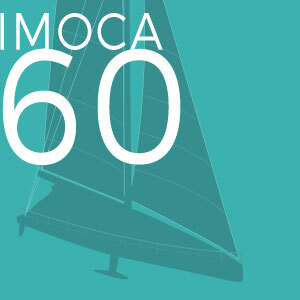 IMOCA 60s are elegant, fast and light and built using carbon materials. But they are also rugged racing yachts capable of handling the most ferocious conditions on the planet. Very beamy for their length, they are optimised for the type of downwind sailing that typifies the Southern Ocean legs of the Vendee Globe solo round-the-world race. Like Class40s, IMOCA 60s are governed by a box rule that limits key parameters and sets safety standards, such as minimum stability requirements. The class has attracted most of the greatest solo sailors of the last 30 years, among them Philippe Jeantot, Michel Desjoyeaux, Ellen MacArthur and Vincent Riou. Over the years the boats have become more radical with swing keels, daggerboards, and canting rigs and the class has attracted many of the best designers in yacht racing, among them Finot-Conq, Farr Yacht Design, Juan K and VPLP. The latest revolution is the introduction of foils which is producing spectacular speeds on certain points of sail and is radically changing the dynamics for the newest boats in the class. Unlike the other three classes in The Transat, the Ultimes – the biggest, fastest and most dangerous racing yachts on the planet – are not currently established as a formal class. The Ultimes, previously known as “Giants, ” have evolved from the late 1980s when the Route du Rhum included big multihulls for the first time. Since then the boats have got bigger, lighter and faster. 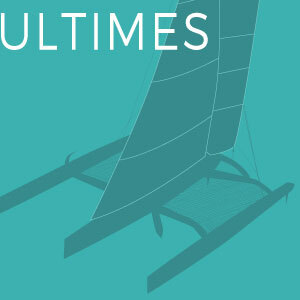 The Ultimes are massively sophisticated and complex racing yachts that cost around €8 million to build, including research and development costs, and millions more to campaign. The newest boats are very wide, lighter than their predecessors and super-strong. They are designed to be raced by a solo sailor or fully-crewed. But you need nerves of steel to skipper one of these alone on the open ocean and the tough course for The Transat will be no exception on boats that routinely sail at twice the true wind speed and can hit 50 knots over the water. Given the right weather conditions, the winning boat in this class could sail from Plymouth to New York in as little as seven days.